New student applications for the 2019 - 2020 school year are open. Please visit www.stmcougars.net to apply if you have an incoming freshman. *The deadline to apply to UL Lafayette and be considered for scholarships is Jan. 31. *The second LSU deadline is Feb. 1 for scholarship (with some exception) consideration. *Click on the links below for scholarship information. Grade-level counselors will be visiting students in the classroom this week to discuss scheduling courses for the 2019-2020 school year. During the classroom visit, students will review graduation requirements, TOPS requirements, possible electives and will complete a tentative schedule on Plus Portal. Your student will come home with a copy of the semester report card, standardized test scores, and transcripts (if applicable). Please take the time to review these documents and discuss next year's course request with your child (Course Offerings Guide). Individual student meetings will take place during the months of February and March. Course requests will be due on March 29th, 2019. From January 28-February 1, Cougars for Life is collecting items for the Desormeaux Foundation. The items collected will benefit women in crisis pregnancy in the Lafayette community. Items currently needed are: diapers (all sizes), infant baby bottles, baby wipes, body wash (for mom and baby), kitchen trash bags, lysol spray and aluminum foil. Thank you for helping us to promote and protect life. 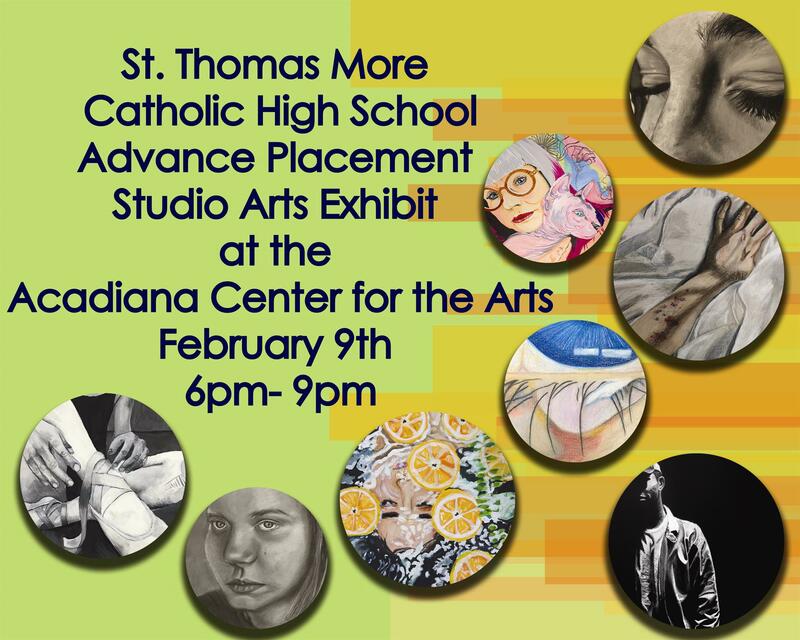 Save the Date to see the works of our very talented students in AP Studio Art on Saturday, February 9 from 6 - 9 pm at Acadiana Center for the Arts | 101 W. Vermilion Street. Current STM student registration for the 2019-2020 school year will begin February 25, 2019. An email will be sent to the primary parent email address with links to update your student(s) demographic information along with a link to download, complete and return the enrollment contract. The signed enrollment contract can be mailed, emailed or dropped off in the STM front office. Parents are able to print a year end summary of all payments processed through FACTS to be used when completing your Louisiana tax return. A printable payment summary is available on the Payments tab. It can be printed for a calendar year or a date range. Please visit https://online.factsmgt.com/signin/43Z78 or contact FACTS customer service at 1-866-441-4637. Yearbook is offering a 10% discount for all pre-paid ad by Thursday, March 28. You will still have until May 1 to submit your image. Please download form to reserve yearbook space. If your contact information has changed since you registered your child for the current school year, please update here.